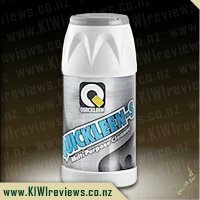 Deals to urine odours, soap scum and heavy duty lime scale. A concentrated formula specifically blended for removal of organic matter. It safely removes hard water and calcium deposits from all surfaces. It has a rapid penetrating action that breaks down all organics by using an organic salt. Eliminates odours by destroying the source of the problem, replaces the need to use bleach in a washroom / bathroom environment. Can you find me one person, just one, who actually likes to clean the toilet? I live by myself, so it is only me who uses my toilet, and even then I don&apos;t like cleaning it! I live in a rental property and it is clear that some of the tenants before me weren&apos;t as frequent with their toilet cleaning as they should have been, so while most of the toilet bowl is ok, down the bottom where the toilet leads out to the drain there are the usual brown marks that have unfortunately been there a while and are very very hard to clean. Reading the bottle I discovered that their instructions are very very clear. I followed them to the letter. I shook the bottle well (with being a new bottle it wasn&apos;t long before it obviously filled with bubbles! ), turned the nozzle to spray (I do like that it has the stream and spray options as sometimes you want to be more targeted and other times you want to cover a bigger area), and I began to spray. For me, the smell of a product is important as I suffer badly from hayfever and some products can make me sneeze, and other products that are highly chemically smelling can cause me to get dizzy or get a headache. 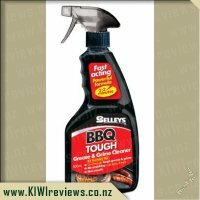 Using this after the floor cleaner it is safe to say that this product does have a strong smell. I did have to stand out of the room after spraying it liberally around my toilet bowl, but this could be also because I had my head down reasonably close to see that I was covering the whole area. The spray bubbles a little on impact so this made it a little easier to see all of the areas I had sprayed. The instructions then told me to agitate with a stiff brush so I used my toilet brush before I sprayed just a little more and left the product for five minutes. As I walked down the hallway towards the toilet I could definitely smell the product. It was a little overpowering to me, but as mentioned before I am sensitive to smells. It was a fresh, clean smell, and certainly not one full of chemicals which was good. I then did as the instructions told me - to simply wipe the surface or flush clean - I wiped the top of the bowl where the flush doesn&apos;t reach, then flushed to remove the rest of the cleaner. It had certainly done a good job, especially of the part of the bowl not covered by water (although to be fair, it wasn&apos;t overly dirty looking when I started). Some of the brown at the bottom of the bowl had disappeared, but other bits hadn&apos;t and I wonder that if I was to use this regularly it would help. It did state to extend the cleaning action I could spray the bowl again after flushing, but as the smell is a little strong for me I don&apos;t think I would do this and leave it there (as I&apos;m now not likely to use the toilet until the morning). 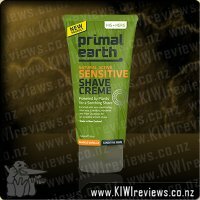 I do like that this product is safe for the environment however I would like to know what they have used as the "natural scent" that is stated in the ingredients list. I&apos;m not sure what the first two ingredients are on the list, and perhaps one or both of those is what is causing the slight headache I am now dealing with after smelling this product. I would recommend the product for the cleaning power, but unfortunately with my sensitivity to smell it is one product I will have to use rarely if at all. 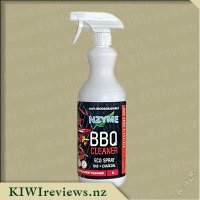 Opening up the KiwiReview box was very exciting for the kids this time, but what I was most excited about, with a husband and little boy in the house, was the Nzyme Toilet cleaner, and it happened to arrive on shopping day, so was able to take that off my list of things to get. A consideration for me whenever I am thinking about trying something new is how earth conscious the product is - is the actual product natural, can I recycle the bottle or refill it, that sort of thing. 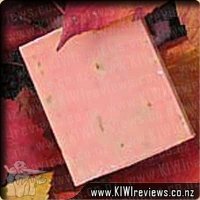 Nzyme proudly states this to be 100% biodegradable, eco friendly and soap free, no caustic chemicals, and made here in NZ - which is awesome. I decided to use it straight away as it was cleaning day the next day anyway, so after reading the instructions sprayed it on being generous and left it to sit for a few minutes. I headed out to our spare toilet that does not get used very often, but is the original bowl, so pretty stained and ugly looking. I didn&apos;t have high hopes, as nothing I have used has made that much of a difference on it. After waiting the time I took a toilet brush to the first toilet and was pleasantly surprised, as with minimal effort it honestly did look cleaner and brighter! Going back out to the old toilet - this is where the magic was! The old toilet has come up looking great, with only faint stains left that with continued use, I think could disappear. The smell is really pleasant, and having a sensitive nosed husband, that is really important. The spray smelled clean, not like hospital strong disinfectant or bleach clean but pleasant, and fresh almost. It is very easy to use, and covers the area well. Really handy is that you can see how much is left in the bottle - great thinking!!! I really like this toilet cleaner but especially love that it does actually do what it says it will, and very well. 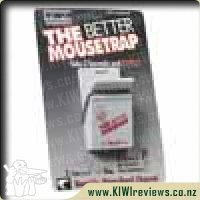 Overall I have no complaints with this product, but once it runs out I don&apos;t think I will be buying it again, just because it is not readily available, and the cost. I can see that you use a minimal amount with this - so a bottle would last ages though. The older I get the more I realise that products don&apos;t only need to work well and be cost effective, it&apos;s becoming more important to me that they are good for our planet. This cleaner is chemical free, and 100% biodegradable which really appealed to me. It claimed to attack the more difficult aspects of toilet cleaning, and I was happy to put it to the test. Our home environment is a tank water situation, so in summer especially it is a case of "if it&apos;s yellow let it mellow.." which means cleaning can be a &apos;task&apos;. Through our hobby we make use of a workshop facility, that has a bathroom which is lucky if it gets cleaned twice a year! I felt confident these were good candidates to test, the merits of this product. In both situations, I simply sprayed the product liberally and left it for five minutes as instructed. As is always the way as soon as I made the bathroom out of order, the youngest member of the family wanted to use it! I told her if she really needed to use it now, she had to give the toilet a scrub, she happily complied, and I supervised, and I was impressed with how easily it was coming up clean. I asked if she was scrubbing hard and she replied, "No this is really easy mum, I like this one we should keep using it" high praise indeed. I took over to get those difficult to reach places and I had to agree this is a product that took all the hard work out of cleaning. The workshop toilet was a different kettle of fish, it was a big job, and as such I gave it a good spray and left it for longer than suggested. When I deemed it an appropriate time to tackle the task, I was impressed with the results. In both cases once the toilet was cleaned, I gave it another spray, and this kept the toilet at home cleaner. The spray itself had a clean smell, not overpowering like bleach, and its packaging has a viewing window, which lets you know exactly how much you have left. Reading the packaging it&apos;s made in New Zealand, and is both safe for people and animals, and is cruelty free. The safe nature of this product led me to trial it at the preschool where I work, and I have to say the toilets were clean and hygienic, and the preschool was happy as it fits with their environmental values. 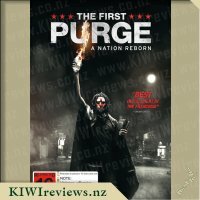 The disadvantages of this product is that it isn&apos;t available everywhere yet, but at $18 a litre it is worth sourcing as it&apos;s great value for money. Cleaning the toilet is one of those jobs that I&apos;ve never liked but I&apos;m now at that stage where I can outsource that particular job to one of my kids now. When my son went to clean the toilet (in return for PlayStation time) he quickly asked if using this meant he&apos;d have review it, which made me chuckle. It&apos;s a big bottle, one litre in total, but it doesn&apos;t feel hard or awkward to hold. On the side, there is a thin, clear, strip which enables you to see just how much product you&apos;ve got left, which means no more guessing by weight and you can easily plan ahead for your next grocery shopping trip. My eldest was the first person to use this, so I didn&apos;t see anything different but it sure did help eliminate any odours in the toilet. I began using it, concentrating it on one spot that is rather yellow and has been for some time. It took me spraying and scrubbing that spot, several times over a week but it has definitely eliminated I&apos;d say 75% of the discolouration, so I can see it works well in that regard. Every now and then (very rarely but still gross...), one of my kids will wipe a little bit of their faeces on the wall (not sure why it still happens, but it&apos;s getting less and less which is fab). This happened recently and as soon as I noticed I grabbed this, gave it a spray and it wiped with great ease. 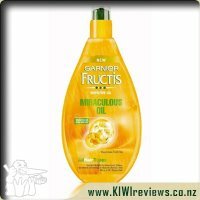 This is a product that has proven itself well, it&apos;s far out of my usual budget range for cleaners and I&apos;ve already used almost half the bottle, but not that I&apos;ve gotten on top of things I may end up using less. 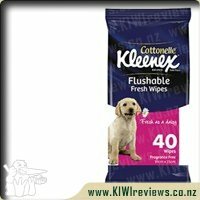 NZ made and biodegradable are big pluses in its favour too. I may well buy this in the future. I think it&apos;s pretty safe to say that a lot of people think cleaning the toilet is the worst job out of all housework. I myself loathe when it is time to clean the porcelain throne. Living in a house with boys our toilet often looks feral. As a mum of three precious children, I try not to use lots of harsh chemicals that could be harmful. 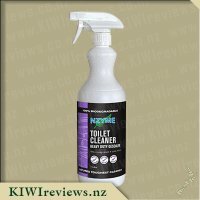 When I saw that KIWIreviews had this toilet cleaner from NZYME available to request I was intrigued, especially seeing that this product is supposed to be good for removing heavy duty lime scale, and dealing with those nasty urine odours. 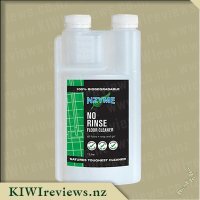 When it came time to try this toilet cleaner, I decided to use it on our main toilet, which has a slight build-up of lime and grime along the water line and the bottom of the bowl. The instructions on the bottle were simple to follow, and as it would turn out very effective. I was pleasantly surprised at the level of cleanliness after not a lot of scrubbing. Usually I stick to cleaners I know are not strong smelling as they give me headaches, I was worried this would be too strong, however this had a pleasant smell. Overall I think this product is wonderful, effective, great for people and the environment, however I do not know if our tight budget would be able to accommodate for the cost unfortunately. Growing up my mum was obsessed with having a clean toilet (and she still is) to the point that she would clean both of them every day - sometimes as much as twice a day. Where as, I am no where near as bad, I do appreciate a clean toilet and when I see marks on it well it needs to be cleaned. My girls seem to be following in the same footsteps except they do not scrub with the brush they think just tipping the toilet cleaner down the toilet and waiting for the bubbles to appear will do the trick - they still have some learning to do. I have been brought up always having the cleaning spray go right up under the rim so when I received this I was a tad worried. All those years of being told you need to get it right up there in the shaft came flooding back to me and I thought &apos;oh no I will not have a clean toilet&apos;. 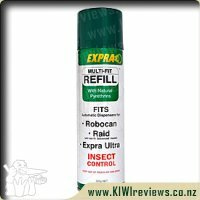 But after reading the back of the spray bottle I felt some relief as it assured me it would removed the toughest of stains and other organic matter. I decided to put to the test and leave the toilet uncleaned for a week - okay who am I kidding - I couldn&apos;t bring myself to leave it that long but that was the initial plan. Four days later it was of need of a cleaning (thank goodness mum never came around). I pulled it out of the cleaning closet, because it is to large to place where I normally put my toilet cleaner and I turned the nozzle to the spray position. The first thing I noticed was the pleasant aroma - it wasn&apos;t smacking you in the face and I really do like it. I sprayed and I sprayed and watched it fall down to the water. I couldn&apos;t work out how to get it right under the rim but I tried as much as I could and then pulled out my trusty toilet brush and my goodness did it turn up clean. The bowl was white and flash and honestly looked like a new toilet. There were some marks under the seat and I used the spray on that and it just wiped away and looked lovely. We have always had a mark just before the water sneaks away through the pipe and I am not sure if its my eyes playing tricks on me but I could swear it had faded some and got smaller - will be keeping an eye on that. It does not leave bubbles after the flush but it does leave everything looking whiter than it was. I think I will keep it away from my mum as at $18 a bottle it is a tad on the expensive side and she would probably use it all in a week. I am really impressed with how a little does go a long way and how I can spray under the seat and around the top of the bowl without having to use another item to do it. A new toy I think I am going to enjoy using if only for the smell. I have now used it four times and each time I swear it is getting whiter - I am impressed! 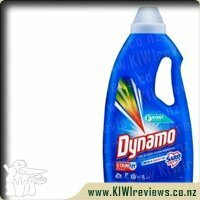 Dynamo Ultra Concentrate is scientifically proven to remove the nastiest everyday stains. Now, no other laundry detergent can outperform the unbeatable stain removal performance of Dynamo with a boost of Sard liquid. Scientists have given this unique formula the thumbs up; now its up to you to put Dynamos unique formula to the test and experience guaranteed exceptional stain removal results for yourself.